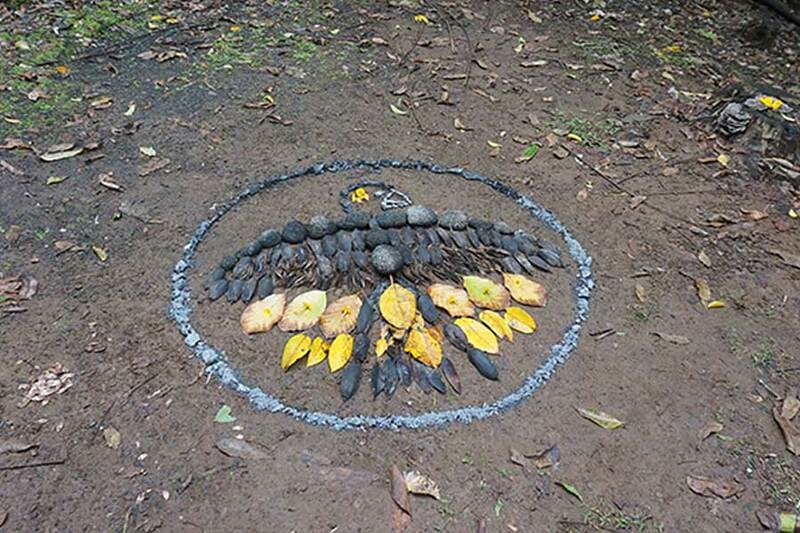 Creating art with a symbolic and ceremonial nature, using natural materials. Inspired by a vision to activate a remembrance of reverence for ourselves, the earth, our families, the cycles of life and the elements. Devani's has helped us with her offering to bring our prayer for our 3rd musical album into more depth. She was not only able to communicate and deliver her work in a professional way, but even more important has exceeded our highest expectations. The depth of her connection to nature is represented in every aspect of the artwork she sent to us. We are sooooo grateful for the beautiful altar that Devani created for our wedding. Not only was it visually stunning and a centrepiece for our ceremony, but her expression captured the essence of our relationship and the prayers we were sowing at that momentous moment in our lives. Feeling the power of this prayer planted into the earth, forever held by the earth, is an imprint that lives inside of us. Thank – you Devani! We have been blessed to have Devani’s altars and her earth prayer as a major component of various workshops, trainings and ceremonial spaces. 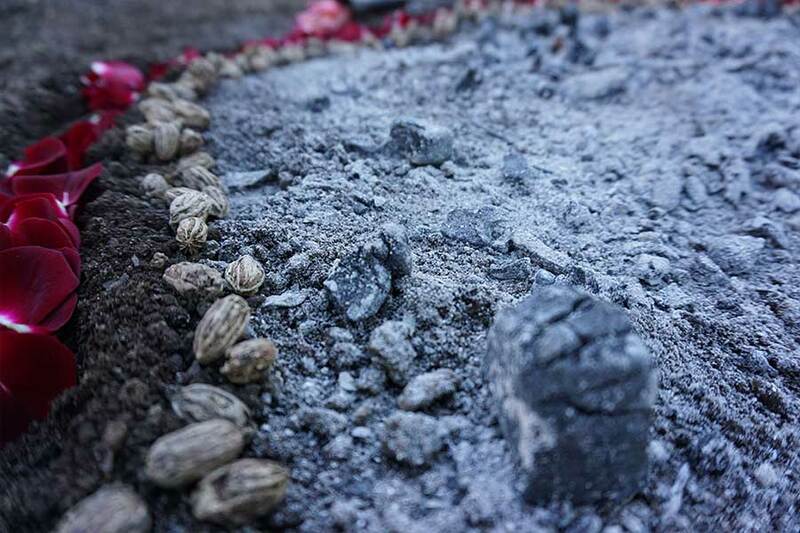 Her earth altars create and anchor sacred space, laying the foundation for reverence and connection. Devani shares her work with devotion and grace, planting seeds for the healing of the earth and waters through her creations. 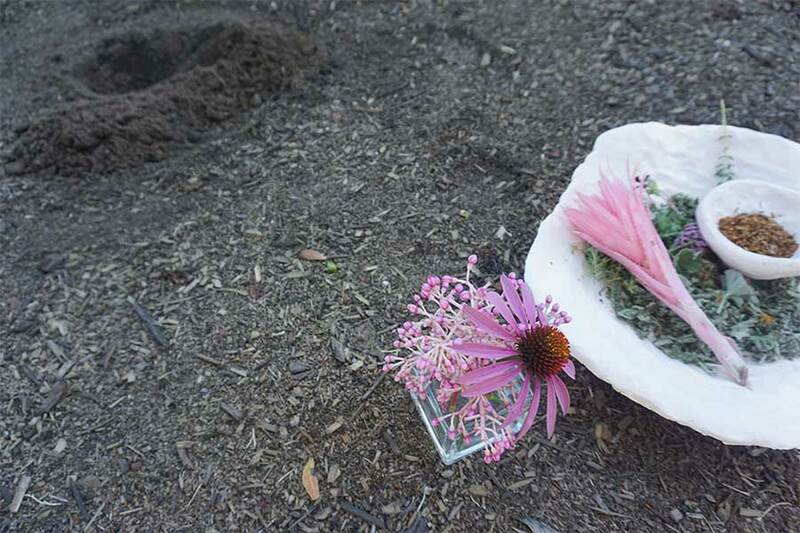 Devani's earth altars are more than beautiful creations of art. She has helped us with her offering to bring our prayer for our 3rd musical album into more depth. She received the intention for our work and was not only able to communicate and deliver her work in a professional way, but even more important has exceeded our highest expectations. The depth of her connection to nature is represented in every aspect of the artwork she sent to us. We were also able to use other images of her earth altars for a song book we created.